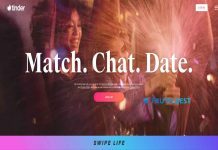 Home Dating sites ChristianCafe Review – Can You Find Your Match Here? ChristianCafe Review – Can You Find Your Match Here? How Much Does ChristianCafe Cost? Technology brings people closer to each other. Now we can easily chat with the person who lives 700 miles away from us. It is possible to find anything you want to online, and even meet a soulmate. 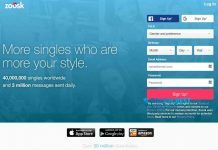 Dating sites ease communication between strangers and provide an excellent opportunity to start a happy relationship with someone. ChristianCafe has been connecting singles from all over the world from 1999. 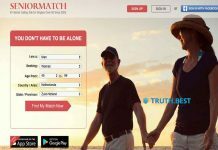 The dating site unites Christ-centered people and helps single minds build a strong family. But is it as good as they say it is? Read ChristianCafe.com review to find out whether it works or not. ChristianCafe is an online platform for faith-minded people. It connects the people both from the same city as well as from entirely different parts of the world. ChristianCafe is the space where anyone can find a partner who shares your faith and beliefs. 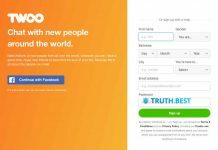 The dating website covers the 7-day free trial. So you can give it a try before opting for a monthly subscription. To begin with ChristianCafe, you need to create your profile on their website. You should provide your e-mail address and add other details such as country of residence, postal code, gender, etc. Next, you will need to complete the multiple-choice questionnaire. Here you have to select one option from the drop-down menu. If you can’t decide on the right response, just choose the one, which seems the most appropriate for you. As soon as the multiple-choice section is complete, your profile is officially created. Then you can proceed to the short answer section. Here you can express your personality and tell a lot about yourself. If you decide to leave some questions unanswered, they won’t be shown on your profile. Save your answers at the end. Feel free to edit personal information any time you want. Maybe some of your interests have changed? Then reflect the changes in your ChristianCafe profile to attract people who share your beliefs. We have already mentioned that ChristianCafe offers 7-day free trial. But after the trial ends, you can go for paid membership. ChristianCafe pricing starts from $29.95 for two weeks of use. Six months membership will cost you almost $100. How To Delete ChristianCafe Account? If you want to delete your account on ChristianCafe.com, you need to contact the Administrator in your community. The Administrator will deal with a query as soon as possible. ChristianCafe is primarily aimed at people who are looking for partners who are eager to live a faith-filled life. The dating website covers over 300o testimonials of happy couples, which found each other on ChristianCafe. ChristianCafe is a great platform for devoted Christians. If you don't share Christian beliefs, this dating service can be not enough for you. In case of any second thoughts, better start with the free trial.